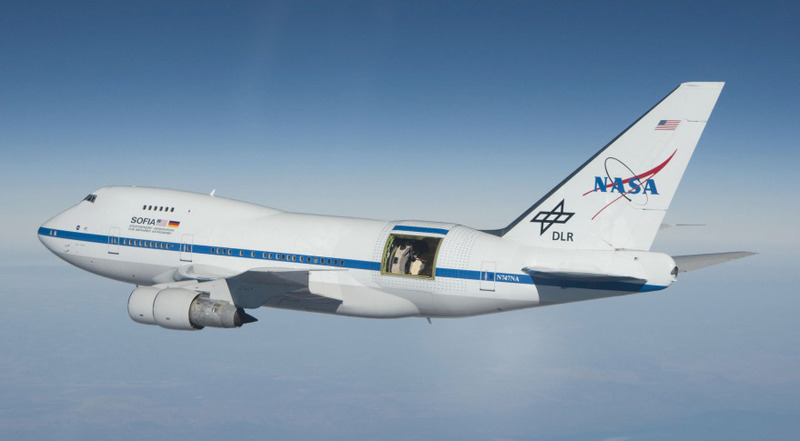 WASHINGTON — NASA is planning two alternative reviews of an airborne observatory amid conflicting congressional views on whether the program will be eligible for the next senior review of astrophysics missions. Speaking at the Sept. 20 meeting of the Astronomy and Astrophysics Advisory Committee at the headquarters of the National Science Foundation, Paul Hertz, director of NASA’s astrophysics division, said the agency is planning the alternative reviews for the Stratospheric Observatory for Infrared Astronomy (SOFIA) given conflicting language in House and Senate bills about if it can be included in the next senior review, scheduled for 2019. Language in the report accompanying the House version of a fiscal year 2019 commerce, justice and science spending bill would prohibit NASA from including SOFIA in that next senior review, which examines the status of missions that have completed their primary missions to determine whether they should be continued and if there should be any changes to their operations. A final resolution of the conflicting language isn’t expected until late this year, when House and Senate appropriators hammer out a compromise version of the overall spending bill. However, the final report for the omnibus spending bill for fiscal year 2018 included language prohibiting NASA from spending any money to prepare for a senior review that includes SOFIA. The first of those reviews is scheduled for late this year and will focus on the operations and maintenance of SOFIA. Hertz noted that the bulk of SOFIA’s budget, $85.2 million for 2018, is devoted to the operations of the Boeing 747 aircraft outfitted with a 2.5-meter telescope. “For the same amount of money, can we get more flights? Or, for the same flights, can we find a cheaper way of operating it?” Hertz said of the goal of that review. “We are going to make sure that SOFIA is delivering to the community the science capabilities that the community values,” he said. Several other missions, though, will be eligible for the senior review. As in past senior reviews in astrophysics, the Hubble Space Telescope and Chandra X-Ray Observatory will be treated independently, Hertz said at the committee meeting, with a focus on science priorities rather than whether the missions should continue. The other missions slated for inclusion in the senior review are the Fermi Gamma-ray Space Telescope, the Neutron star Interior Composition Explorer (NICER) instrument on the International Space Station, the Nuclear Spectroscopic Telescope Array (NuSTAR) spacecraft, the Neil Gehrels Swift Observatory, the recently launched Transiting Exoplanet Survey Satellite and NASA’s participation in the European Space Agency’s XMM-Newton X-ray observatory.